The Memphis Prop Busters has a history than spans several decades, and several flying sites. The club has been located in Memphis, Collierville, and is now located near Arlington, TN 5 minutes from the Wolfchase mall. We have called our current flying site home since the late 90's, and have worked hard in providing one of the nicest flying sites in this part of the country. We are made up of some of the finest members this hobby has to offer who represent every discipline model aviation entails. From novice to expert, we welcome everyone! The Memphis Prop Busters maintains what we believe is one of the nicest club facilities in this part of the country. We offer a professionally maintained 650X115 ft North/South grass runway capable of supporting the smallest electrics all the way up to tubines and large giant scale models, which are frequently flown here. We have clear approaches off either end, and have a wide flyover area. All weekly lawn care is handled by professional companies who mow, fertilize, control weeds, and so forth. The grass is watered by an automatic sprinkler system, and we strive to make sure the runway is as smooth as possible. All flying is done facing East, which makes us an afternoon field, but you can fly 24/7 365 unless there is field maintenance, or a special event in progress. Other than that, we have zero restrictions on when you can fly. 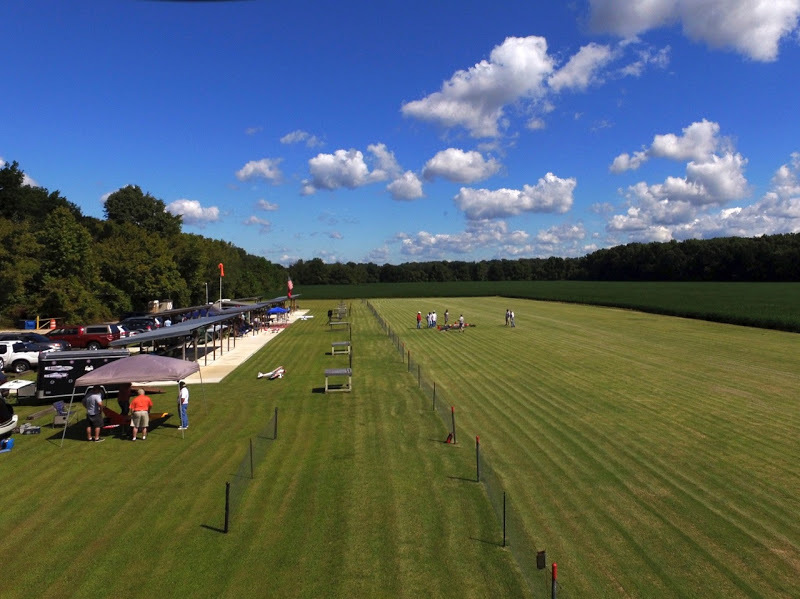 The flying field has a helicopter pad on the north end and a quad/drone course on the south end. They are designed so as to not interfere with fixed wing traffic on the main flightline. The club provides various amenities at the flying site such as chairs, picnic tables, work stands/startup benches, porta-potty, trash collection, and water. We boast concrete/covered pavilions with workbenches and electrical outlets from one end of the field to the other. The central clubhouse is lighted and has a refrigerator for keeping your drinks cool. 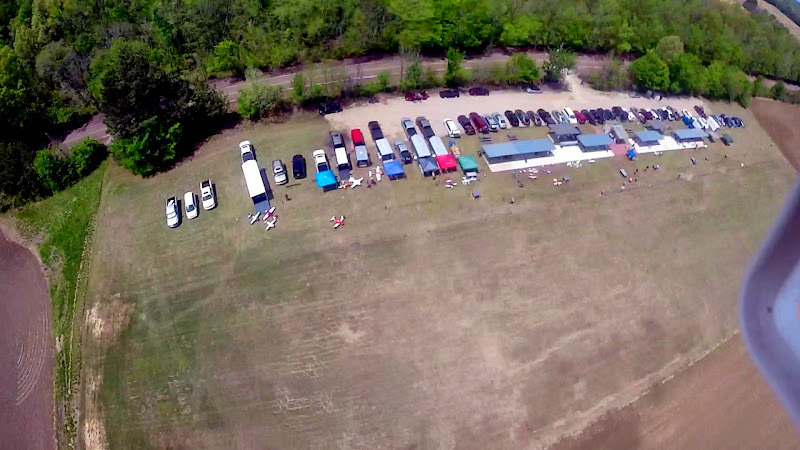 The parking lot is hard-packed gravel and is wide enough to accommodate members with trailers. On any given weekend, there are typically several trailers at the field. For special events, we do allow RV's. The south helicopter pad has a large access gate for RV's 40+ feet in length. We do have running water available, but there are no other hookups. The field is located on the eastern edge of Shelby County, just south of I-40, north of US Highway 64, and east of the Wolfchase Mall. This puts us a short drive from nearly anywhere in the greater Memphis area. Plus, the close proximity to the Wolfchase Mall gives easy access to hotels, shops, and restaurants. The membership of the Memphis Prop Busters is an incredibly diverse group. Our members fly literally every type of aircraft in the RC hobby: sport, pattern, IMAC, warbirds, giant scale, 3D, turbines, helicopters, micro and giant scale electrics, autogyros, and even the blimp for the University of Memphis Tigers. Regardless of the type of aircraft you enjoy, you will feel right at home here. Many of our members have been flying for years, but we do have some grade-school members who have just begun. Regardless of your age or flying style, you can find a flying buddy here. We strive to maintain a fun and friendly environment for both members and guests, regardless of flying style or ability. If you're just getting started in the hobby, you'll have no shortage of expertise to learn from. 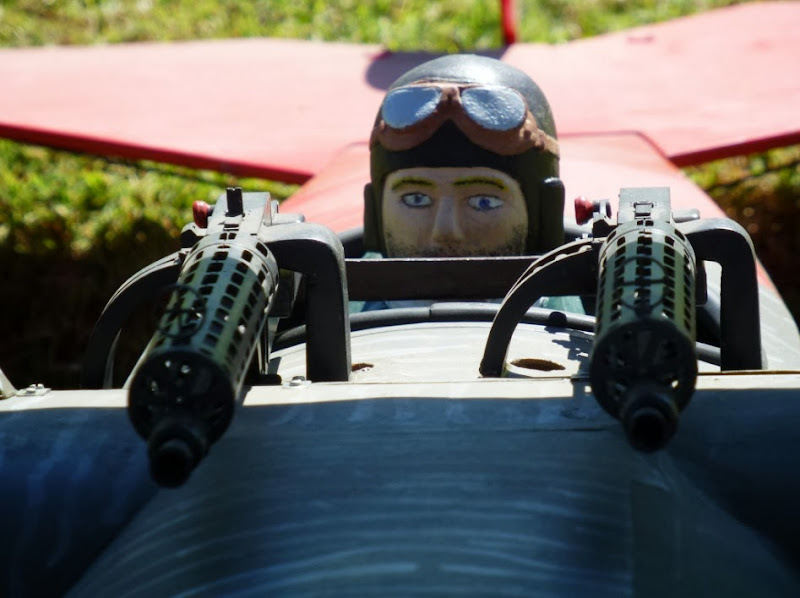 In fact, from March through October, the club hosts a training day on the second Saturday of each month from 9AM until 12 noon where potential pilots can try their hand at RC for free. Regular club instruction can be had at any time by contacting one of the instructors. 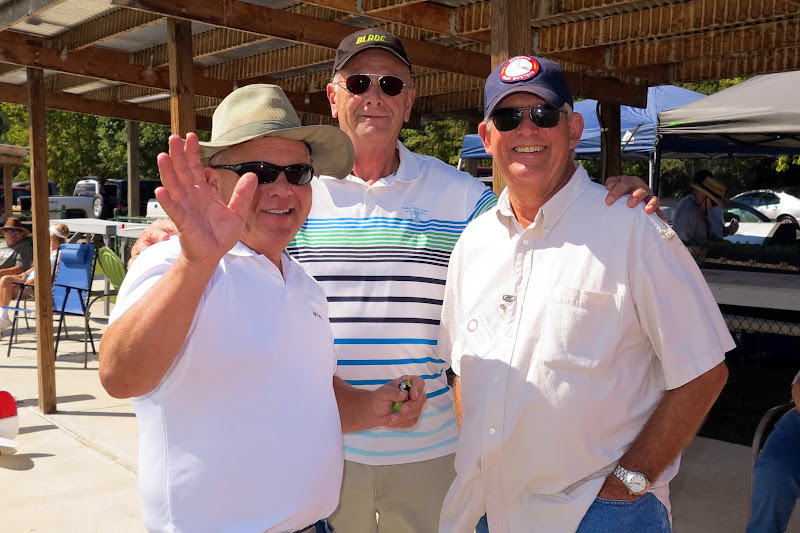 Both our Officers and membership realize that people are in the hobby to fly and have fun. For that reason, we strive to make it as easy as possible to both join the Propbusters, and to be a member. We have no initiation fees, interview process, or other unnecessary hoops to jump through when joining. Our yearly dues are only $150 for regular members, with discounts given for junior, family, and senior members. This entitles members to be able to fly at any time, day or night, and on any day of the year, excluding special organized events. It also includes free instruction, if needed. The club has at least 4 meetings a year, and although attendance is encouraged, it isn't mandatory. We do strive to keep the meetings as short as possible though. The club doesn't get caught up in politics easily. We hope you'll decide to join the Memphis Prop Busters! If you're still unsure about joining, come on out for a visit! The club is most active Saturday and Sunday afternoons, but weekdays can be active as well. See the Contact page if you have any questions regarding a specific time.